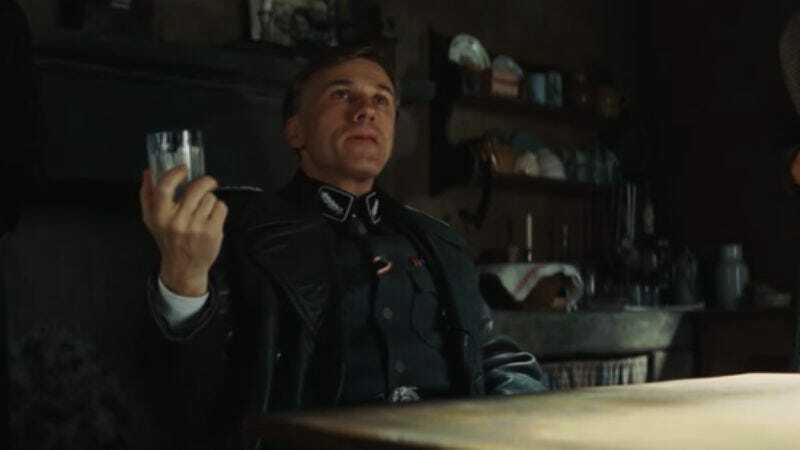 The opening scene of Quentin Tarantino’s Inglourious Basterds is a drawn-out masterclass in tension that also functions as a prologue and an introduction to Christoph Waltz’s legendary antagonist Hans Landa. While the larger movie it’s attached to has an uncertain place in critical evaluations of Tarantino’s work, the scene itself is one of the most acclaimed of the director’s career. A new video from Lessons From The Screenplay digs into exactly how he pulled it off, using (as the name would suggest) Tarantino’s writing as a guide. Filmmaker Michael Tucker views the scene’s 17 pages through the lens of the philosophy and psychology of suspense, noting how the introduction of instability (here in the form of Nazis approaching an idyllic farmhouse) makes us yearn for a return to stability. That ratchets up in intensity when—following Hitchcock’s decree that you tell the audience there’s a bomb under the table long before it goes off—Tarantino pans down to reveal that there are Jewish refugees hiding beneath the farmhouse’s floorboards. There are countless subtle shifts in the scene (like when Landa pulls out his cartoonishly large pipe) and unlikely ratchets in tension, such as when Landa grabs the farmer’s daughter’s hand when he asks for a glass of milk. Also, just the creepiness of him drinking all that milk anyway. It’s a smart analysis of the video that also ropes in plenty of archival footage of Tarantino describing the scene himself, which is always revealing and suspenseful in its own way. There’s something vaguely unsettling about the way that guy talks.